With spring officially here it’s time to give a big thank you to those of you who have braved the elements over the winter months to take part in our workdays. You really do make a big difference! 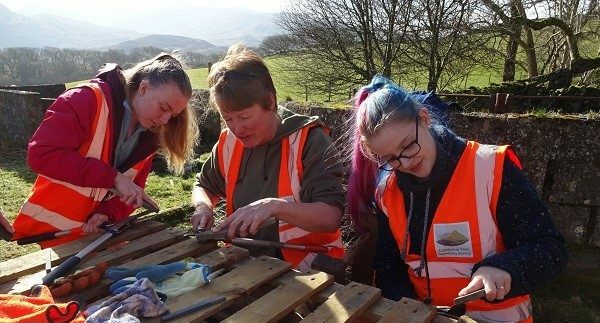 Since the beginning of January our volunteers have enjoyed a variety of different volunteer days that have included: Coppicing, Fencing, The Big Garden Birdwatch, Bridge Building, Tree Planting, Conifer Removal and Rhododendron clearance, to name but a few. 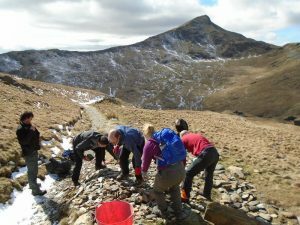 March saw the beginning of our ‘pitching in days’ in partnership with the National Trust, where we team up to tackle the problem of erosion on our precious footpaths in the uplands of Snowdonia. 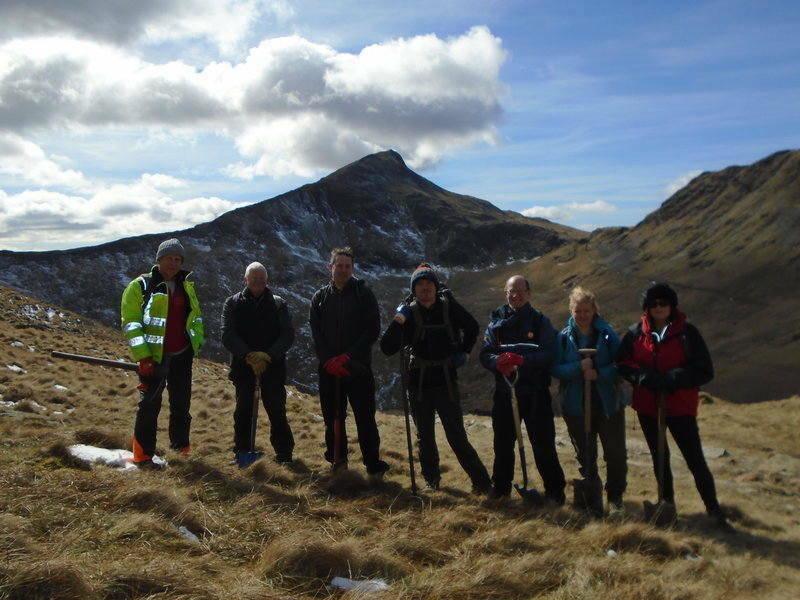 Our first outing with the trust took us along the stunning Watkin path with views back towards Yr Aran. 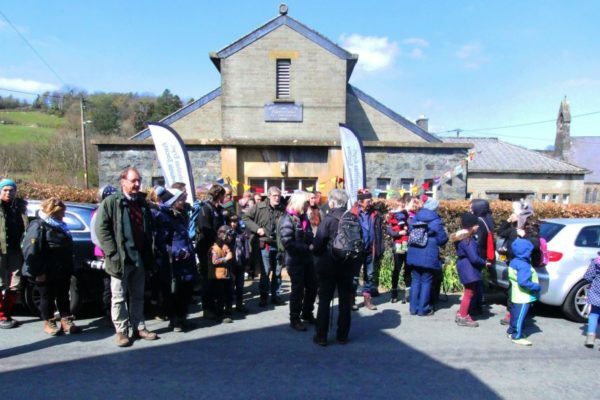 There will be many more opportunities to take part in these events in the coming months with footpaths requiring maintenance in beautiful places all across Snowdonia. If you would like to join in the fun in the coming months check out our volunteer page to see what we have on offer.